PeopleVine enables you to easily create rewarding membership programs for your customers. 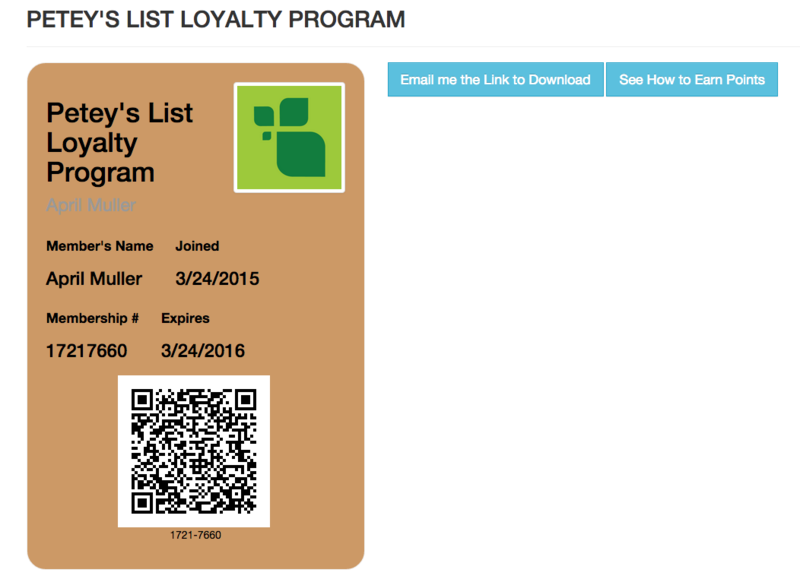 Once a customer becomes a member of your loyalty program, they will receive a unique digital membership card. Under the Reward tab, select "Start a New Loyalty Program." Fill out the membership details and customize the card design with a color scheme and/or graphics if desired (your company logo will be included by default). Choose between a QR or PDF417 format bar code to be included on the card. Members will be able to download their loyalty card and view ways to earn points by logging in to your site's customer-facing PeopleVine portal. Some activities (like social sharing) result in points being awarded automatically while others (like attending events) will require the membership card to be scanned. See here for a list of possible loyalty activities. See here for code scanning app recommendations.